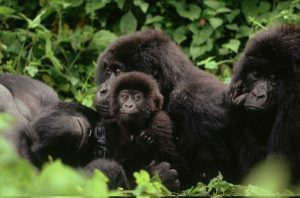 The 6 Days Congo Gorilla Safari Kahuzi biega Virunga Congo Gorilla Tour is complete safari package that will offer you an opportunity to explore the two outstanding national parks of Democratic Republic of Congo. 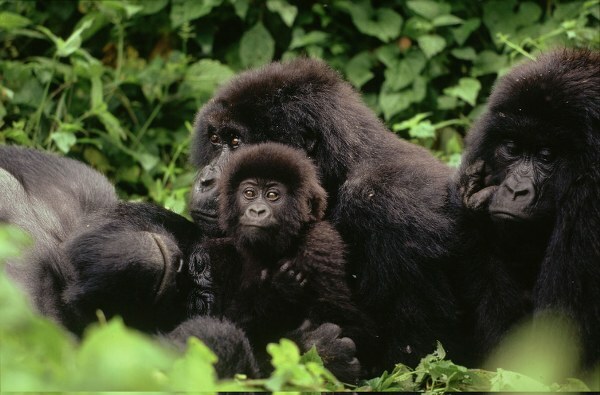 The 6 Days Gorilla Safari will take you through Africa’s most picturesque Virunga National Park –natural home of mountain gorillas situated in North-Eastern part of DR Congo. Thereafter, the safari connects you to stunning lowland gorillas trek in Khauzi Biega National Park located in South Kivu province, eastern Democratic Republic of Congo (DRC).The 6 days safari will entail activities like Mountain gorilla trekking, lowland gorilla trekking, Volcano hiking, Nature walks, cultural & community tours ,bird watching and so on. The safari will offer you life changing experience with taste of world-class services from some of the best lodges /hotels in DR Congo. Day 1 of the 6 Days Congo Gorilla Safari Kahuzi biega Virunga Congo Gorilla Tour: Arrive at Kigali International Airport & Transfer to Goma. Day 2 of the 6 Days Congo Gorilla Safari Kahuzi biega Virunga Congo Gorilla Tour: Early Morning Gorilla trekking in Virunga National Park.